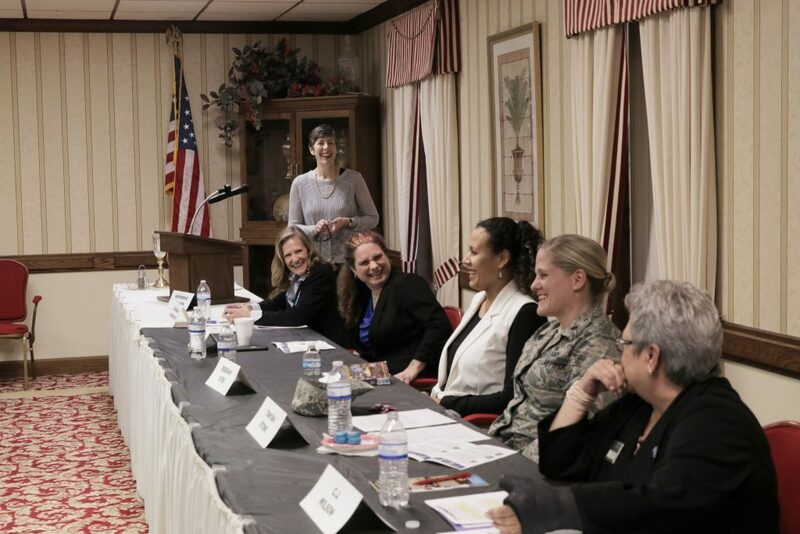 Dr. Katherine Jellison, Professor & Chair of History at Ohio University, moderated a panel on “Citizenship and Service: Women Veterans” at the Athens Masonic Lodge. Held on March 25 as part of Women’s History Month, the event was co-sponsored by the Ohio University’s History Department, Contemporary History Institute, Veterans and Military Student Services Center, Women’s Center, and Air Force ROTC Detachment 650, along with the League of Women Voters of Athens County, Southeast Ohio History Center, Sweet Arts Bakery and Women Veterans of Southeast Ohio. The panel featured a number of U.S. women veterans, and discussed the changing nature of service and citizenship for women from 1776 to the present. The panelists were Deborah Ashenhurst (Director of the Ohio Department of Veterans Services), Tanyah Stone (U.S. Air Force Reserve), Rebekah Eyre (U.S. Marin Corps, 2006-2010), Jens Eskey (Army National Guard, 1999-2010), and C.J. Wilson (U.S. Navy, 1976-1980). At the time of the nation’s founding, male and female citizenship responsibilities differed in two significant ways: political participation and military service. Men were expected to participate in the political system and perform military service, but women were not. In the past century, women have achieved access to both the vote and to military service. 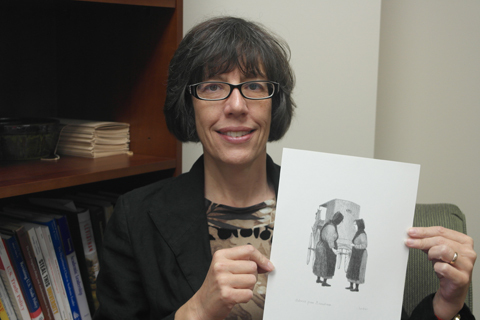 Drawing on her own research and teaching expertise, Jellison shared a timeline of major turning points in U.S. women’s citizenship and service. It included the emergence of the women’s suffrage movement (1848), women’s access to citizenship (1868), women’s suffrage (1920), women’s service in all branches of the U.S. military in during World War II, the Women’s Armed Services Integration Act (1948), the admission of women in U.S. military academies (1976), and the opening up of all combat positions to women (2015). 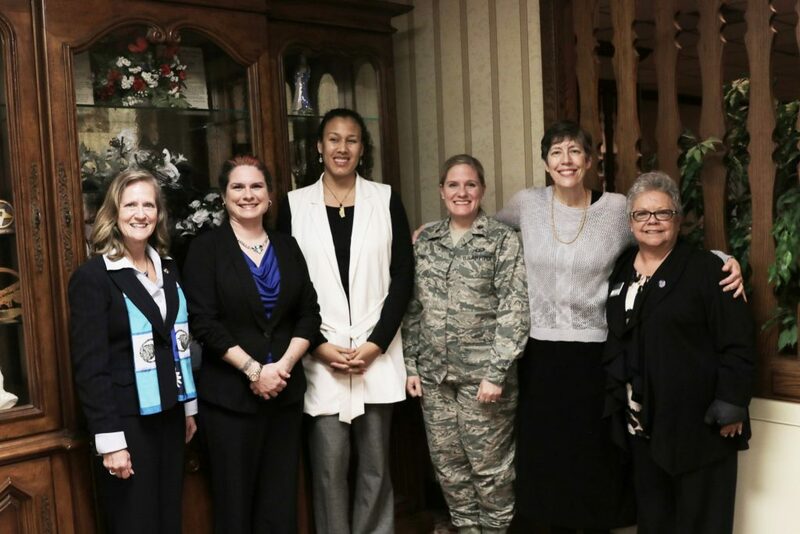 Jellison’s moderation explored similitaries and difference across the panelists experience as well as reflected on the changing nature of women’s service. Some of the questions she posted were: How does the fact that you serve, or have served, in the U.S. military inform your identity as a U.S. citizen? How has has women’s access to all combat positions changed the way women view the military and the way in which the military views women? How has your military service affected the other roles you may play in U.S. society—such as spouse, mother, student, voter, member of the civilian workforce? Read more about the panel in the Morgan County Herald.